Fremont. Quite a cool place. I woke up in the morning knowing I wanted to do something on my list. Weather is perfect, leaves are changing, and I needed to get out of my small apartment. 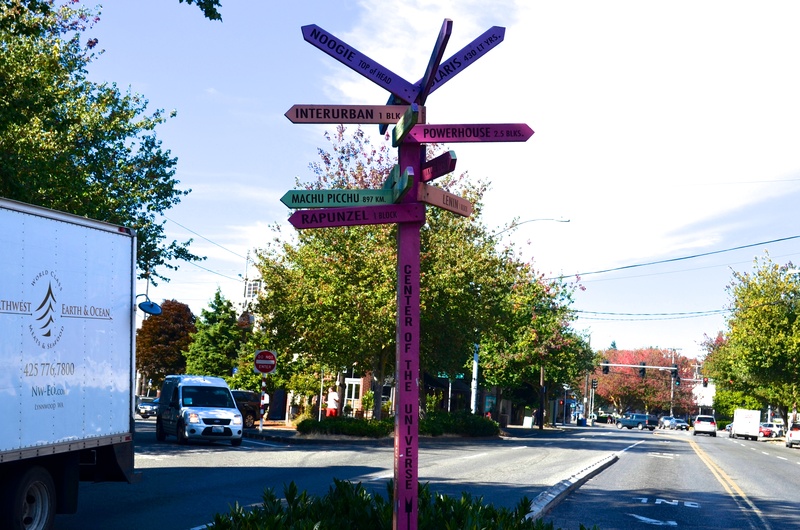 I have heard great things about Fremont and have already been to the troll, so I took the opportunity to get to know the area conveniently close to University of Washington. Eat a peanut butter and jelly. I am on a budget after all. Still new to the city, I had to look up which bus to take to Fremont. I hop on the 31 with ease and sit down watching streets I don’t know fly by. Freaking out I missed my stop, I decided to get off on a random busy street. I wasn’t really sure where the happening part of Fremont was, so I figured I would find it on my own. I got off and walked through a residential neighborhood. After walking up a hill I reached a highway. Obviously wrong. I head back down the hill and walk up the street to a bridge that crosses the highway. I reach Fremont Street. Seems like a safe bet to take me to a place worth checking out. I walk down the hill, which is covered with dying leaves and big trees hanging over the sidewalk. 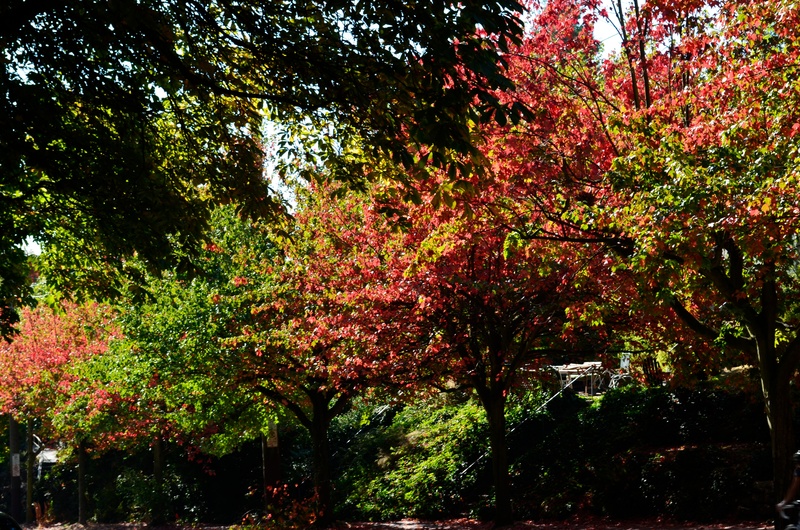 Reminds me of the Northeast and its beautiful foliage. Heading further down the street I finally reach the lively part of Fremont. Fremont, which has the sign labeling the area “The center of the universe”, is a very artsy, fun section of the city. I walked around the area checking out the little shops, cafes, and restaurants. Nothing to cross off the list, but I am making progress on a few items at a time. I have started riding my bike every other day to start my efforts to get fit. With my mountain bike, I ride from the University District down to the Burke-Gilman trail and then ride to the end in Ballard. Once I get there, I turn around and head home. The entire ride is about 7 miles, which I do quite quickly. At the very least, I feel healthier and its nice to get out and see the views of Seattle. I hope to continue to bike more and more, soon adding more hills and distance. What is nice about the trail is that it is quite wide and mostly flat. I find the hills to be tough in Seattle, especially with a heavy mountain bike. As I get more interested in biking, I may look to upgrade to a nicer road bike where hills will seem less daunting, but for now I am content with my affordable bicycle and free exercise. With my health in mind, I have also tried to eat more fruits, vegetables, and fibers. I want to be healthy when I am young, and Seattle is a great place to get inspired to be fit. I pass countless people on the trail everyday. It seems everyone is out biking, running, skateboarding, or just strolling. I know that getting in shape will have benefits to my physical and mental health. I have also made efforts to get involved in clubs. Being a huge snowboarder, I made sure to join the snowboarding club. I reached out to the president for more information and think the club will be great for me. Not only is it a great way to meet new people with similar interests, but it involves me doing my favorite thing, snowboarding. Rutgers never had a snowboard club, so I feel like I missed out on meeting snowboarders at Rutgers and going on school organized trips. Washington’s club organizes trips, gets your discounts, and organizes carpooling to the mountain through the week. It even covers the gas money, which means I can get up to the mountains for a reasonable price. Needless to say, I am excited to get up in the mountains where the fluffy powder is waiting for my waxed board to glide through it. I have been lucky enough to snowboard in many great places on multiple continents, but I have always wanted to ride a powder day at Mt. Baker and go up to Whistler. Soon, I will have that chance, and I can’t wait. Here’s a video to show just how awesome Mt. Baker is! For anyone who is making a list of things to do, you can’t overlook getting in shape, or for many of you, staying in shape. And for someone in a new place like myself, the best way to meet new people and get out of your room is to get involved in clubs! No class on Wednesday? Why not get a jump on my bucket list! At around 1 o’clock I decided to head over to the Fremont troll. 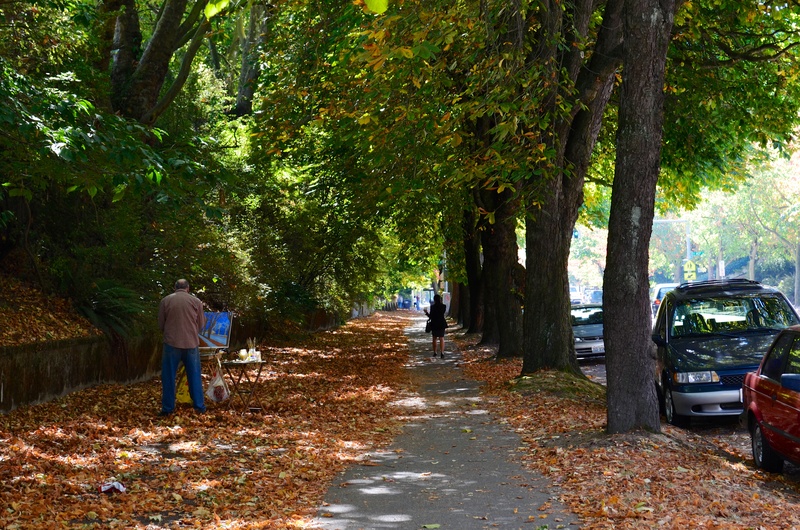 For any non-Seattle readers, Fremont is a neighborhood in Seattle close to the U-district. 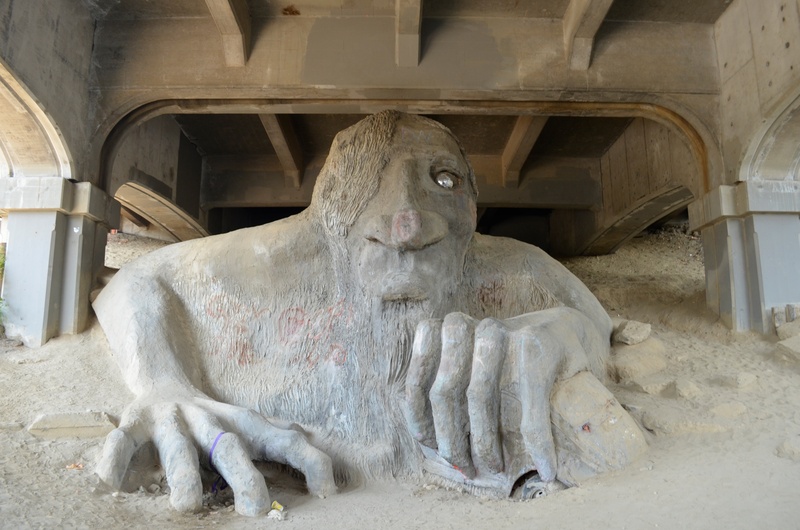 Underneath the aurora bridge lives a giant slab of concrete art, better known as, the troll. So I took my bike, my camera, and advice from Google maps and headed on my way. I am new to biking this city, so I trusted Google maps to take me to the troll. Well, I took 40th street pretty much as far as I could until I hit a steep hill. Instead of straying from my pre-calculated path, I continued up this monster. Let it be known, my bike is a mountain bike, not some light, big wheeled, road bike, so this climb was a lot more strenuous than you’d imagine. After I struggled to reach the top, I needed a break for my newly gelatinous legs. After a short break I was ready to cruise down hill. That didn’t last long; I was soon met again by more hills. 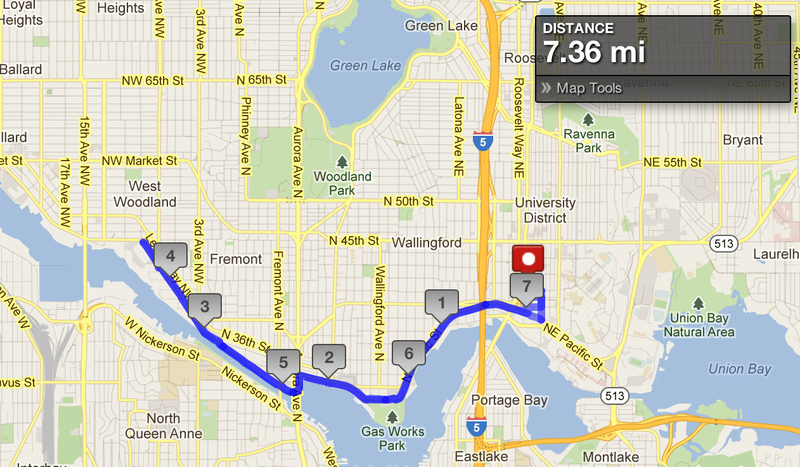 This time, with the bridge insight, I decided to walk the few blocks up to the troll as others biked right on by. I guess the bucket list item “get in shape” should be one of my priorities. Upon arriving to the troll I was surprised I was not the only one. It was Wednesday around 1:30 in the afternoon and there were about 9 people taking pictures and climbing on the troll. Prior to seeing the troll, I really did not know what to expect. I hadn’t looked at pictures so I went in with no expectations. Well, the troll has got to be over 20 feet tall and is even holding a Volkswagen beetle. Needless to say, I was impressed and inspired. 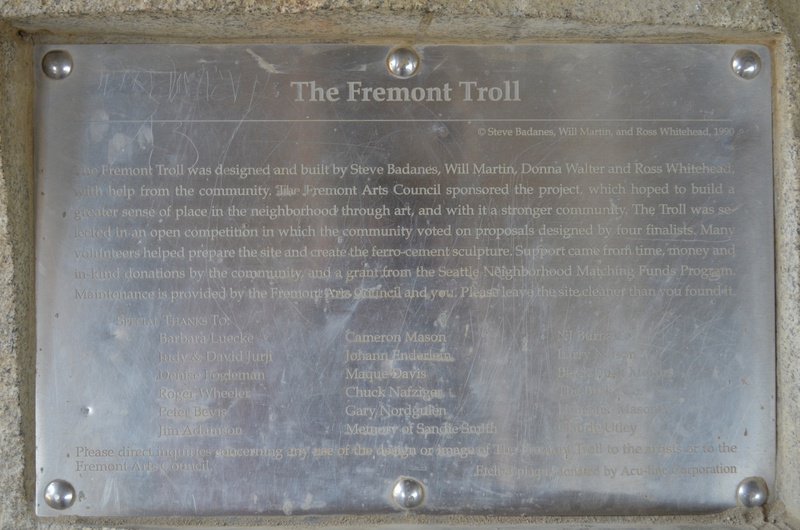 The troll was built in effort to strengthen the Fremont community through art (the community voted on the design and troll was selected). Still being new to Seattle, I can really appreciate this sort of movement. Back east, you don’t get much love for the arts, at least not where I resided in suburban north jersey or New Brunswick. It is interesting to see how, even in a major city like Seattle, community can still exist, and in fact, collectively make something that is noticed, respected, and frankly, cool. I moved to Seattle, Washington a little over two weeks ago with an opportunity. Not only am I starting a great program at the University of Washington, but I am also allotted the chance to explore, learn, and change. In effort to ensure I won’t waste all of my time sleeping in, studying all day, and watching television on my free time, I created a list. The list is filled with 99 things I want to accomplish this year, or however long it may take. The list will challenge me in several ways, but I believe you learn the most about yourself in the face of a challenge. As a kicker, but in reality because I can’t afford to do it any other way, I have decided to do the list by spending as little money as possible. Whether it be focusing on free options, hunting for deals, or straight up bartering for what I want, I am determined to do this list on a budget. The goal is to not only do this for myself, but also show people that everyday does not need to be routine.